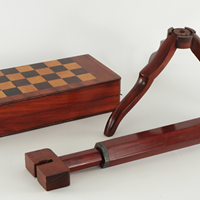 The current exhibition at Boscobel House & Gardens in Garrison "Campaign Furniture” feaures over 20 pieces of elegant collapsible 18th and 19th century furniture that were the essential traveling gear for military officers, Hudson River School artists, and tourists at the time. 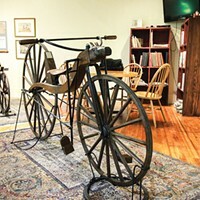 Owners of the Motorcyclepedia Museum in Newburgh open a new museum on Liberty Street that features nearly 50 historic bicycles and other velocipedes. Fri., April 19, 10 a.m.